Currently, I am only using SoulSeek to look for ebooks. I have heard there are other even better sources, like Myanonymous.net. But I am not clear on how to set up an account. I have heard that one needs to have a "seedbox." I have no idea what that is. I would really like to join some of these other resources, but need some kind of tutorial. Good evening everyone and thank you for coming back to TFB’s Friday Night Lights series that covers the world of illumination, night vision, thermal imaging and lasers. 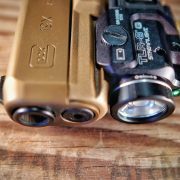 Our beam guru Nick Chen will be your regular host of FNL going forward, but I’m filling in tonight to give you an advanced look at two new […] Read More … The post FRIDAY NIGHT LIGHTS: Brand New Streamlight ProTac 90 And TLR-8 G appeared first on The Firearm Blog. It’s time to get a little bit technical in Today’s Photo Of The Day. You are looking at the Heckler & Koch‘s roller-delayed blow-back systems for the 7.62×51 G3, 9×19 MP5 and the 9×19 P9S. 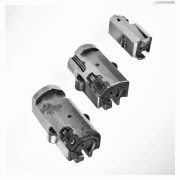 At the bottom you have the bolt from a .308 G3, in the middle one from a 9×19 mm MP5. […] Read More … The post POTD: Heckler & Koch Roller delayed blowback system appeared first on The Firearm Blog. In 2019 Springfield Armory are introducing new barrel lengths to its XDE series of pistols. The 9x19mm hammer-fired pistols will now be available in 3.8 and 4.5 inch barrel lengths. 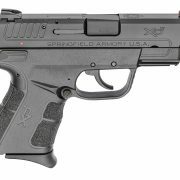 The XD-E 3.8 inch weighs in at 24 oz with an overall length of 7.16 inches while the larger 4.5 inch barrel XD-E weighs 25 […] Read More … The post Springfield Armory Introduces New XD-E Pistols appeared first on The Firearm Blog. So since Onyx a while ago made their Github private I think, does anyone have sources around here? Thanks! is Jailbreaking available yet for 5.10.1.1? I had trouble finding the answer to this question, so I am asking here. If jailbreaking is not yet available for this model (Paperwhite), any idea when it might be? And where can I find the best instructions on how to do this? Thanks for any help. So he seems to not have been around for a while, has anything happened? Occasionally, and for no reason that I can determine, when I hit the right side of my screen to go forward a page, instead, it goes back a page. This behavior is really annoying. My wife, who has the previous model Nook, says hers occasionally does the same thing. Is this a known problem or behavior with Nooks? Is there a way to fix this? Hello everyone, my name is David. I am a life and performance coach interested in philosophy, psychology, history, people, dogs and wine. I write self-help books as well as historical novels. I live in Kent in the UK with my wife and two dogs Tommy a Patterdale terrier and Jem a sort of Bichon who we rescued last year.